We’re about to learn a lot more about the Koch (pronounced “Coke”) brothers, despite their best efforts to hide behind the myriad front organizations they use to funnel cash to politicians who’ll do their bidding. “Citizen Koch,” a documentary about their power play in Wisconsin to eliminate bargaining rights of public employees and undermine labor protections generally, begins a limited run in theaters next month after being pushed off the PBS calendar by the Koch brothers, among the biggest contributors to the Corporation for Public Broadcasting. Another movie, Robert Greenwald’s 2013 “Koch Brothers Exposed,” has been updated with a 2014 edition to show how the industrialists have been further empowered by Supreme Court rulings allowing corporations and individuals to spend unlimited sums in election campaigns. The Kochs have attacked Greenwald’s film relentlessly, right up to the preview this week by House Minority Leader Nancy Pelosi on Capitol Hill. You can view it here. Greenwald reveals how the family’s $100 billion fortune has been amassed through oil and gas pipelines – beginning with father Fred’s business laying pipelines for Josef Stalin in the 1930s – and investments in industries like paper and plastics. Koch Industries is one of the nation’s top 15 polluters, accounting for more than 300 oil spills. It was found guilty by a federal jury of stealing oil from Native American lands. The company has paid more than $100 million in fines. After spending $122 million trying to defeat President Obama and other Democrats in 2012, the billionaire oilmen are reportedly spending $125 million during this off-year election, flooding different regions with market-tested ads, trying to lay the ground for more gridlock and their own guy in 2016. The unrestrained power of “Citizen Koch” is scary, frankly. 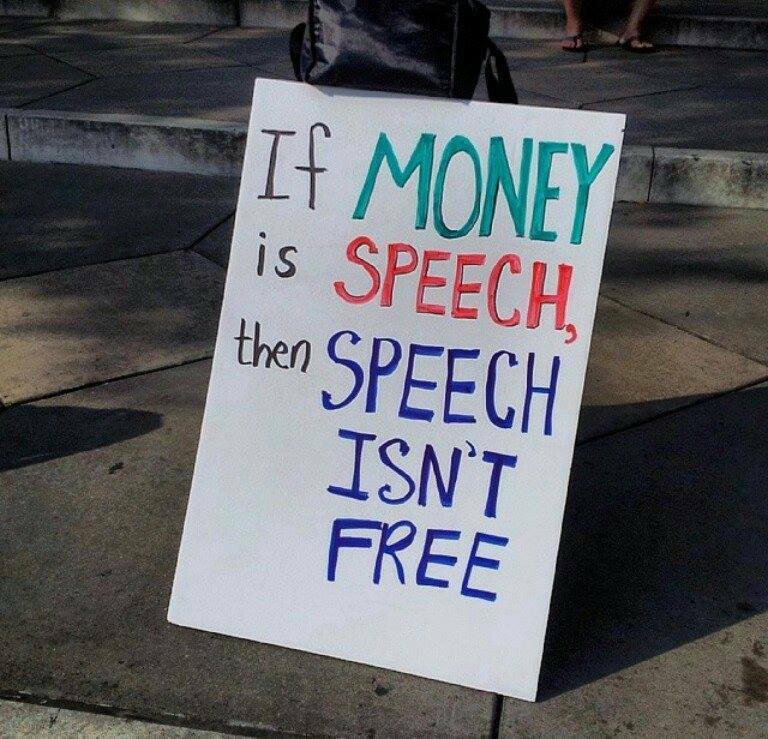 If the Kochs go unchecked we are facing the threat of corporate oligarchy. It may already exist in practice. That’s why I’m watching both these Koch films (Citizen Koch plays downtown D.C. on June 20) and passing along as much information about them as I can. Here‘s the nationwide schedule for the Citizen Koch showing. Check out the links in this blog, and tell me what you know. Nicholas Confessore of The New York Times recently penned a revealing portrait of the Kochs’ political odyssey over the past few decades. Back in 1980, when David Koch was running for vice president on the Libertarian Party ticket, which favored “the repeal of the fraudulent, virtually bankrupt, and increasingly oppressive Social Security system.” his brother Charles objected to a $2.5 million political expense. Today they spend that much in a week. Besides more than a hundred million Koch dollars that go to front groups like the ubiquitous Americans for Prosperity, which in turn fronts for numerous Tea Party chapters, hundreds of millions more are leveraged from other right-wing individuals and groups. The Kochs, in effect, are the bagmen for a vast right-wing conspiracy that Greenwald estimates spent $400 million in 2012 alone. This is not including the right-wing think tank echo chamber headed by the Kochs’ own The Cato Institute. 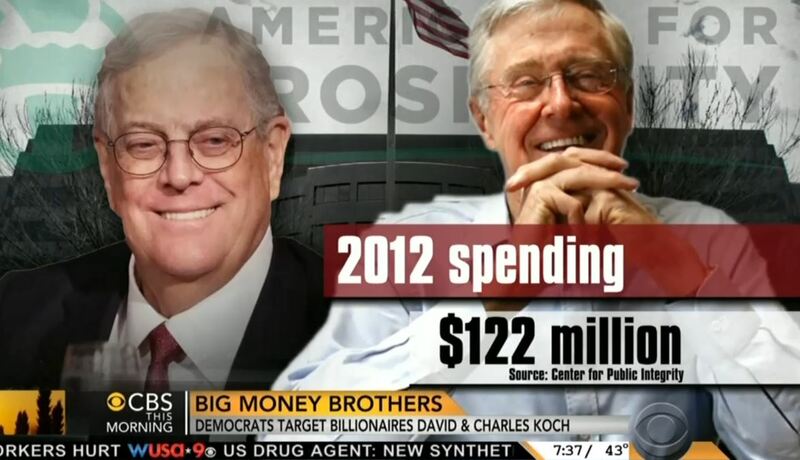 While the media has focused largely on the Kochs’ massive national political machine, the brothers have been even more diabolical at the state level, where they fund the American Legislative Exchange Council (ALEC) to draft model legislation and talking points for state legislators, and canned editorials promoting the legislation that local newspapers snap up to fill column inches. The result is a rash of bad, even dangerous, legislation – including the “stand your ground” laws that George Zimmerman used as a shield to shoot and kill an unarmed Trayvon Martin. Especially troubling to me is the Kochs’ assault on unions, not only collective bargaining but also pension security. Most recently, the Koch brothers’ Americans for Prosperity mounted a targeted strategic campaign to scuttle a Michigan state relief plan for the City of Detroit that would move the city toward solvency while minimizing pension cuts and saving the art library. “Under the circumstances, the proposed state contribution on behalf of vulnerable pensioners is a modest way to make up for Lansing’s decades of abandonment. But it’s too much for the Kochs to stomach. They apparently want city workers and retirees to publicly suffer for the sin of having been union members. They want bondholders and insurance companies at the front of the creditors’ line, and don’t seem to care if the Detroit Institute of Arts has to sell off its paintings and sculptures to put them there. The Kochs’ pension shakedown is in keeping with the brothers’ longtime effort to change Social Security insurance into a more Wall Street-friendly investment fund, spending millions to scare Americans into believing Social Security is in peril, when it’s not. They want all pension money invested in the stock market, where the risk is high for individual investors and the reward high for the institutions. The Kochs want a piece of that giant pension pie. We can’t let the Koch Machine run our country. Arm yourself with information. Spread the word. This entry was posted in Uncategorized and tagged 2012 elections, 2014 off-year elections, ALEC, American Legislative Exchange Council, Americans for Prosperity, Citizen Koch, Detroit bankruptcy, Detroit city employees, Koch brothers, Koch Machine, Nancy Pelosi, New York Times, pensions, political spending, Robert Greenwald, Social Security, The Cato Institute, The Koch Brothers Exposed: 2014 Edition by bymichael2012. Bookmark the permalink. Great headline. Expert roundup. I’ll see that movie with you June 20.